Matt ZurSchmiede - Gripp Inc.
Matt ZurSchmiede is known for his strong focus on customer service. His expertise is in application-specific, flow measurement technology for the municipal and industrial wastewater industry. 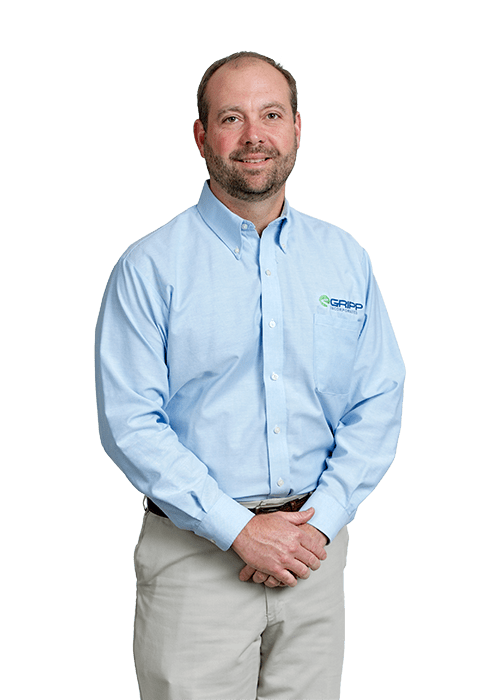 With over 20 years of experience in the Wastewater and Industrial Manufacturing industries, he brings knowledge and a can-do attitude to every project. Matt brings first-hand experience. He himself has held a wide variety of positions in the industry, including Waste Water Operator, Environmental Engineer, Production Manager and Product Design, Maintenance Director, and Environmental Compliance Manager. In addition, Matt holds a Bachelor of Science degree in Environmental Science and a Minor in Business from Indiana University, Bloomington.